Location: North side of level crossing on Station Road, just west of junction with Palace Road. Note: Until 1844, when it was transferred to Northumberland, the small town was within Bedlingtonshire, a detached portion of County Durham. 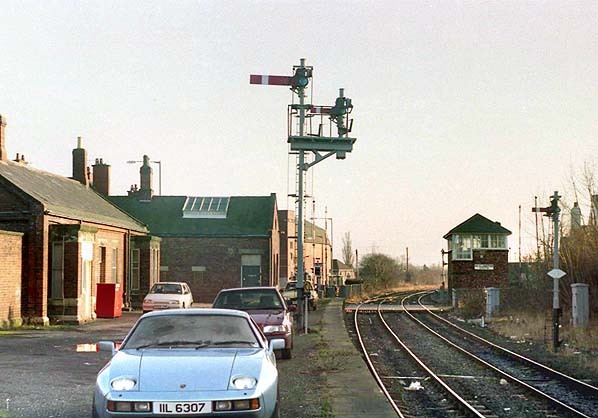 The station was situated inconveniently about a mile north-east of the town, in the village of Sleekburn and close to Bedlington Colliery and several terraces of miners’ cottages. 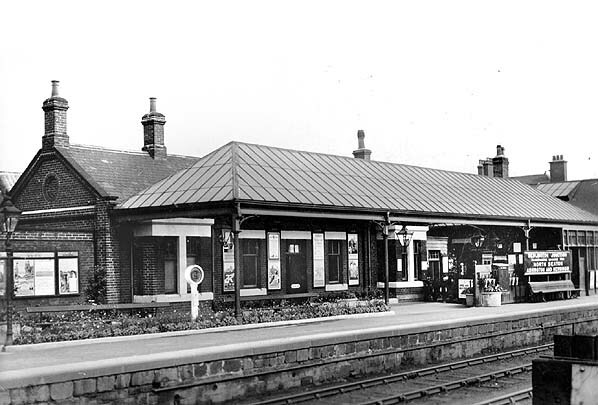 NER statistics showed a population of 14,755 served by the station in 1911.By the 1920s ribbon development of terraces along the main road linked Bedlington town to its station, and in the inter-war years residential development grew in the vicinity of the station. The 1961 O.S. one-inch map recognised Bedlington Station as an urban area in its own right. fitted within the L-plan, supported at the front by iron pillars and small spandrels with quatrefoil motifs. In 1973 the track arrangement was changed to eliminate two-directional operation of the platform line, and the NER footbridge was dismantled. The platform survives together with two separate sections of the former buildings, the central portion having been demolished. Within sight of each other, Bedlington North and South signal boxes remain in use, the former at Bedlington Junction and the latter to the north of Bedlington Viaduct. North signal box controls the routes to Morpeth and Lynemouth; South controls the route from Newsham South to Bedlington North, including the complex trackwork in the vicinity of Bedlington station. Click here for a picture of the original timber vioaduct over the River Blyth at Bedlington. It is probable that about a century passed before other waggonways opened in southeast Northumberland. By the mid nineteenth century there were at least a dozen of them in the Blyth & Tyne area. The most significant in B&T history was the Seghill Coal Company’s waggonway. This firm used the Cramlington Waggonway but grew dissatisfied with the facility. Seghill’s own line to the River Tyne at Percy Main opened for coal traffic on 1 June 1840. From 28 August 1841 passengers were conveyed in trains which were certainly rope-hauled south of Holywell. The winding engine was situated at Prospect Hill. Stations were at Seghill, Holywell, Prospect Hill, and Percy Main. In June 1844 the Newcastle & North Shields Railway began to work the Seghill passenger and goods trains. By December 1847, what had become the Blyth, Seghill & Percy Main Railway was calling itself the Blyth & Tyne. 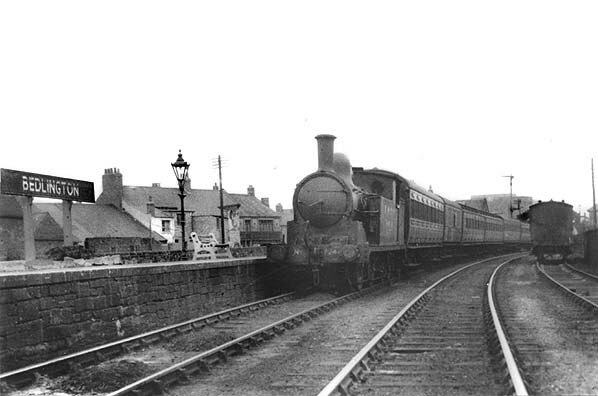 In 1853 the company began the work to cut through Prospect Hill and reduce the gradient up from Percy Main so that locomotives could replace rope haulage. The 1:55 climb, prior to easing of the gradient, was too steep for locomotives of the day to tackle. Tickets from Michael Stewart & C J Dean except 5499 Brian Johnson. 1863 Bradshaw from Alan Young, 1962 timetable from Chris Totty. Route map drawn by Alan Young. Seaton Deleval, Hartley Pit, Hartley, Newsham, Blyth 2nd site, Blyth 1st site (on branch), Bebside, Choppington, Hepscott & Morpeth B & T.
Looking east towards the single through platform at Bedlington c1905. The nameboard is a reminder that the route to Morpeth was considered more important than the branch to Newbiggin, though the former closed earlier to passengers. The hipped glazed verandah rises as high as the ridged roof of the modest single-storey building. Access to the platform is controlled by means of a screen of the design found also at Blyth. 1859 1:2500 OS Map. Even if distant from Bedlington village, this map shows that the station was well placed to serve the colliery and miners' cottages. 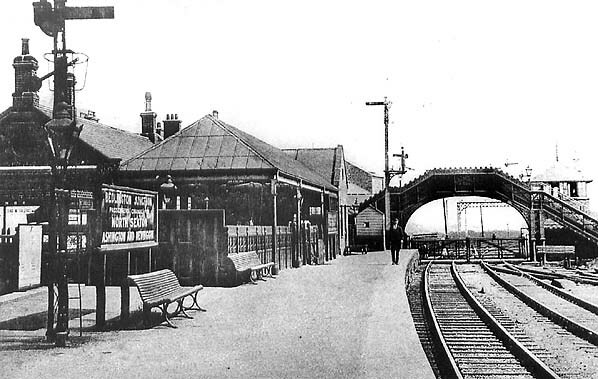 The branch to North Seaton opened in 1859 but is not shown. 1897 1:2500 OS Map. 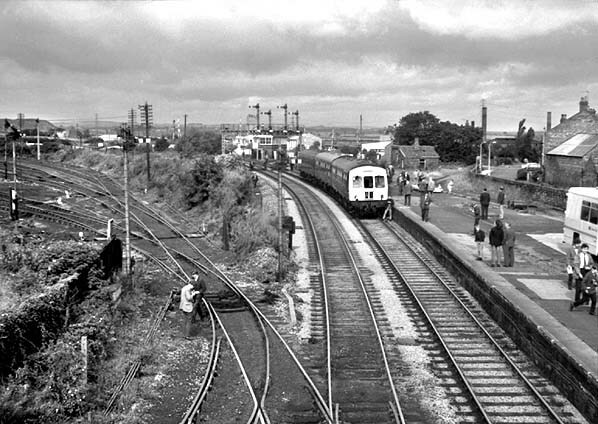 The Newbiggin branch is shown, with rails to the bay platform used by Newbiggin trains. Urban development since 1859 is evident. 1936 1:2500 OS Map. 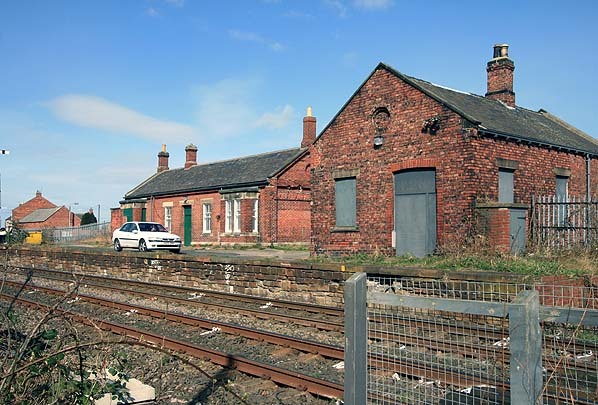 Although identified as 'Bedlington Junction', the station was not known by this name. 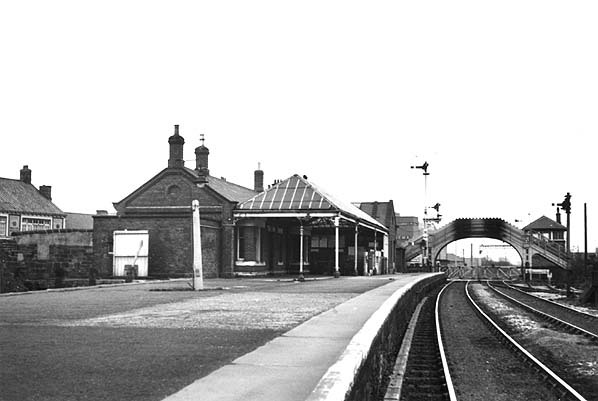 Note the addition of glazed roofing to the station buildings. 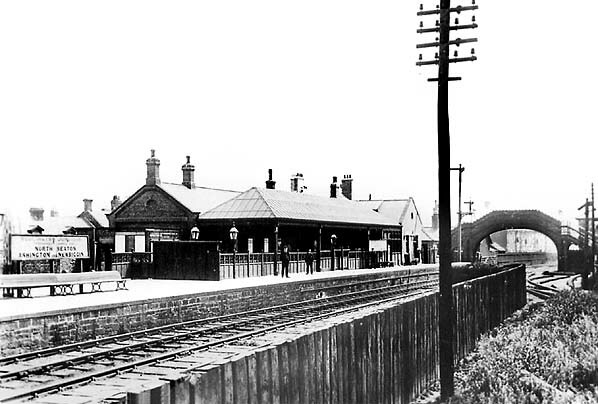 Looking south-east along the single through platform at Bedlington c1910. The nameboard is a reminder that the route to Morpeth was considered more important than the branch to Newbiggin, though the former closed earlier to passengers. The L-shaped single-storey buildings wrap around the hipped verandah. Access to the platform is controlled by means of a screen of the design found also at Blyth. The standard iron NER footbridge is unusual in having its sides enclosed. attached to the station name. Looking south-east at Bedlington in the 1930s the LNER has added its stamp with a new nameboard and concrete bench. Judging by the length of the train it is en route to Newbiggin, as passenger bookings on the route to Morpeth were in rapid decline by this decade. 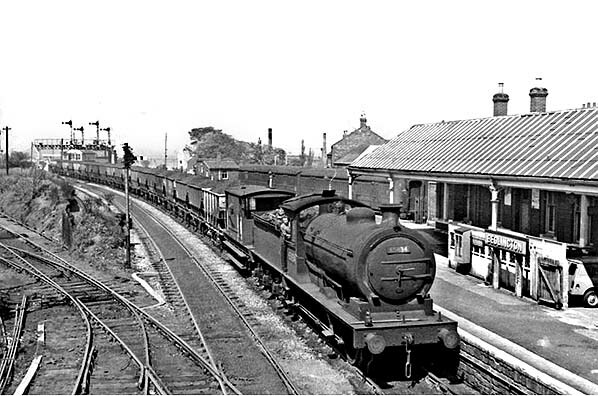 In the 1950s a coal train makes its way south past Bedlington station. The 1950s atmosphere is evoked by the large quantity of sacks and parcels to be collected, and the two schoolboys admiring the cab of the push-and-pull train. Bedlington station’s glazed verandah is prominent in this view north-westward from the footbridge. The line branching left in the foreground serves Bedlington collieries, whilst at Bedlington North signal box, in the distance, the routes to Morpeth and Newbiggin part company. 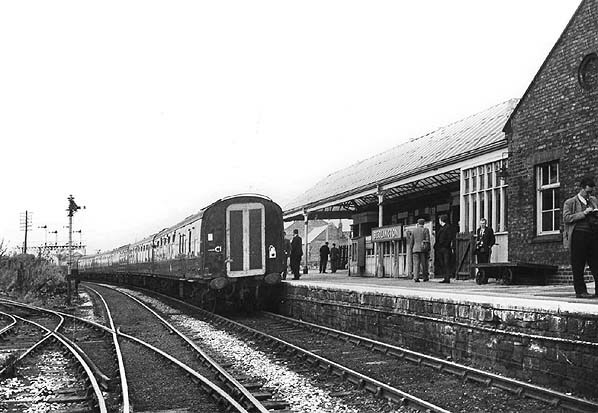 Bedlington station has long been’ (and still is) a popular destination for railtours. This is the 5-day SLS/RCTS ' North East Railtour' on 29 September 1963. In May 1965 passenger trains may have ceased to run, but the Blyth & Tyne continues to handle large amounts of coal traffic. 65834, a Worsdell-designed J27, was built in 1909 for the NER as number 1060. Renumbered to 5834 by the LNER, and renumbered again by BR,it was withdrawn in May 1967 and scrapped in the August.This view is to the north from the footbridge. 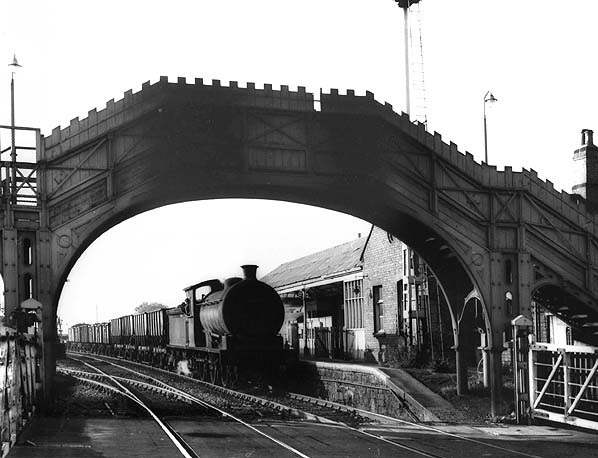 Bedlington, looking south in March 1966. Although closed for more than a year the station has changed little, with its verandah and lighting still in place. 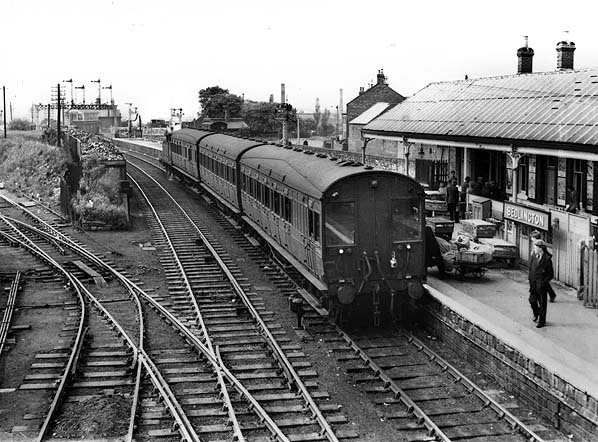 On 4 September 1971 the SLS ‘Tyneside Rover’ railtour, a 3-car Class 101 DMU, calls at Bedlington on its way from Newcastle via Tynemouth and Backworth to Morpeth, then into County Durham to visit the Blackhill branch. The view is from the footbridge, looking north-westwards with the station building out of sight to the right of the camera. 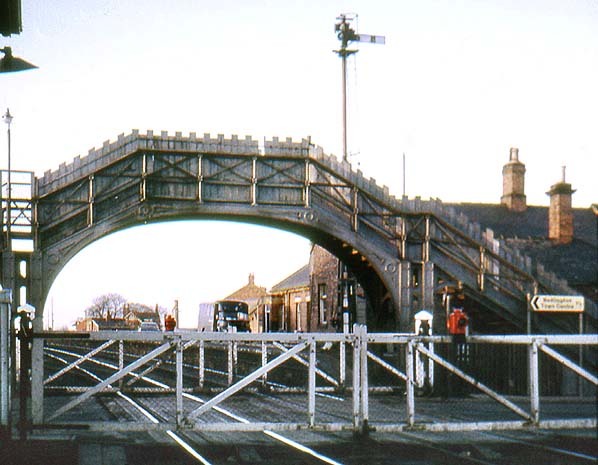 Bedlington level crossing, footbridge and station, looking north in December 1972. The footbridge was dismantled the following May. Looking south-east along the single platform at Bedlington station in January 1998. The platform is used as a car park for railway staff from the two signal boxes.